“On September 26th, the Department of Public Utilities (DPU) issued an order approving the model SMART tariff that was jointly filed by the electric distribution companies, an action that triggers the start of the transition process from the SREC II Program to the SMART Program. The DPU’s order gives authorization to begin accepting applications for facilities seeking to qualify under the SMART Program. 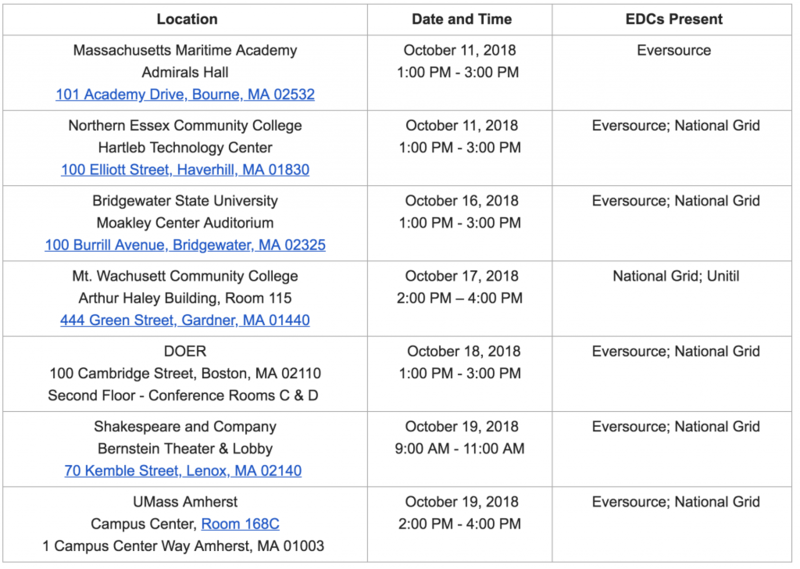 DOER is actively coordinating with the electric distribution companies and SMART Solar Program Administrator, and will soon announce a specific date when the application platform will be available. DOER will provide further guidance on the SMART Program effective date, the expected effective date of each Distribution Company’s tariffs, and the transition between SREC II and the SMART Program as it becomes available. In the meantime, SREC II remains in effect and DOER will continue to accept applications.